On the 20th of September 2018 the Grand Finale of the most exclusive and elegant beauty pageant in the world took place. It is,of course, Miss TheGlam Monaco. And as befits the prestige of the event it was held in none other than the five star luxury Fairmont Monte Carlo hotel, in the famous Salle de la Mer. Miss TheGlam Monaco is the one and only officially accepted annual International Beauty Pageant in Monaco. It was founded in 2016 by the Ukrainian sisters Yulia Berisset and Katerina Santorina of TheGlam Management Group. This year the Pageant has yet again grown in comparison to previous editions. Moreover, it has been significantly enhanced from the prior party format to the elegant Gala Evening which now is the signature event on Finale Night. The competition has been going on literally for 4 days. And on the first night beautiful delegates from all over the world were welcomed with panache by Ilios Monaco at a most elegant dinner. Besides the main rehearsals, all the contestants took part in various events, such as photo and video shoots on the luxury 95 foot yacht, kindly provided by Sunseeker, the luxury yacht company from London. The beautifully paraded haute couture dresses were specially made by the famous Mongolian Designer Khairiin Khurim. And the exclusive luxury cashmere and gold swim wear was designed uniquely for the Event by Altjin! Fashion jewellery and accessories were organized by the celebrated handmade jewellery designer Nelly Milosh and V.L. Carre de Soie. They were continually spoiling the beautiful ladies with presents and support during all the days of the Event. Together with Ms Fit Monaco, all the delegates shared their daily healthy habits and their beauty secrets. They were also able to show off their stamina in various sport regime demonstrations. And after all that hard work they were rewarded with a visit to the legendary Patisserie Riviera in Monaco to try healthy, gluten free cakes by the famous patisserie Chef Alexander Seleznev. The judging panel consisted of Baroness of Monaco Celile de Massy and Italo Fontana, owner and head of the luxury watch brand U-BOAT who also offered the main prize to the winner. Beauty Queen, model, actress and arising artist Natalia Kapchuk was also among the distinguished members of the jury. And joining her was Karolina Zubkova–Mettez, fashion influencer and the muse of the most prominent haute-couture designers. The list of esteemed jurors also included aesthetic doctor and beauty expert Madam Pagam–Orlom and also Bruno Alberti, owner of CHIK TV in Monaco. Aleksei Armach, representative of the most readable news portal and magazine HelloMonaco together with the owner and director of the brand-new vodka brand Tall Blond, Kristian Kenser were engaged in the process of choosing the Queen! Each year Miss TheGlam Monaco has new countries joining in the competition. This year the Pageant had representatives from Lithuania, Monaco, Russia, Ukraine, Poland, Switzerland, France, Mongolia and Japan. The Gala Evening in the beautiful Salle de la Mer gathered together many influential people, press and TV Channels from all over the world. Since its three years of existence the Pageant had been accepted by the international community and defined as one of the TOP 5 world famous and influential Beauty Contests worldwide. In 2018 TheGlam Management Group gave out franchises to Mongolia, Japan and Africa. Next year, organizers are planning to add the Philippines, India, Colombia and USA to their franchise network. Russian beauty Irina Pisareva, celebrity nutritionist and healthy lifestyle expert, was crowned Miss TheGlam Monaco 2018. The Event wouldn’t be possible without the generosity and input of the sponsors and partners. 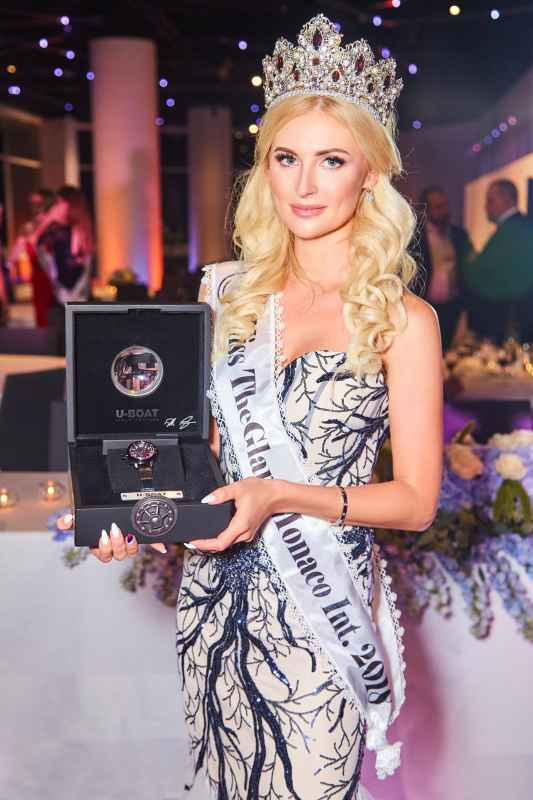 Famous luxury watch brand U-BOAT offered the main prize to the newly elected Queen – an extremely stylish black and white diamond watch valued at 35 000 Euro. Money Art Berlin offered a signature pendant to the Winner. 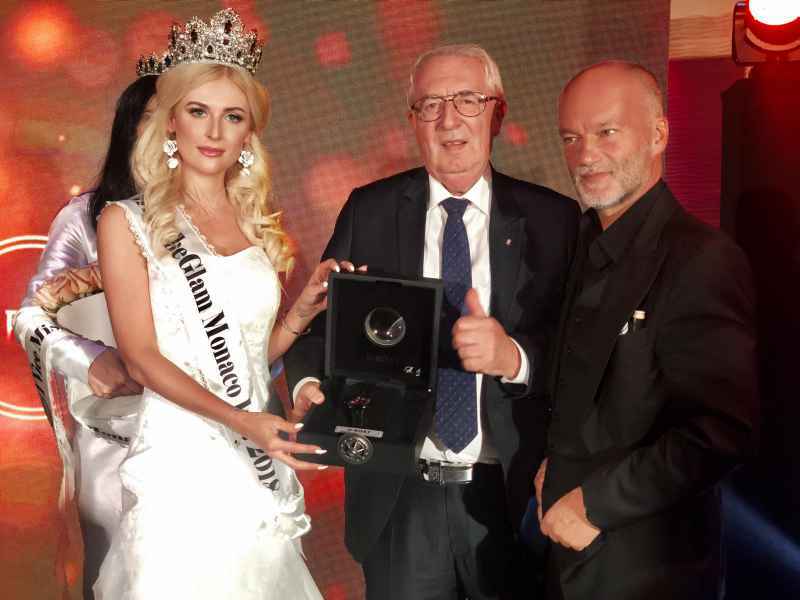 Former Beauty Queen of Monaco Miss TheGlam Monaco 2017 Elena Abrosimova spoiled the other prize-winners with elegant presents from her own Lingerie brand La Rēve. Mongolian Intermediate Trade Company Ikharuguai presented Skin Code beauty care to all the ladies. Moreover, the girls also received luxury fragrances from exclusive perfume brand Uno Cento, who selected the ideal scents for Beauty Queens! The flower arrangements and decorations for the Finale Night were created by Fortuna Fleurs who are a constant partner of the TheGlam Management Group. TheGlam Management Group would like to express gratitude to TRUST EVENTS for their help in organizing the Finale Gala Evening; also special thanks go to Tall Blonde Vodka and Miami Soul soft drinks for making the mood for the evening so great. Finally a toast and thanks to all the media and guests who came to support the contestants in this beautiful pageant!